Chinese pennisetum, pennisetum alopecuroides belongs to the most beautiful and striking grasses in the garden. 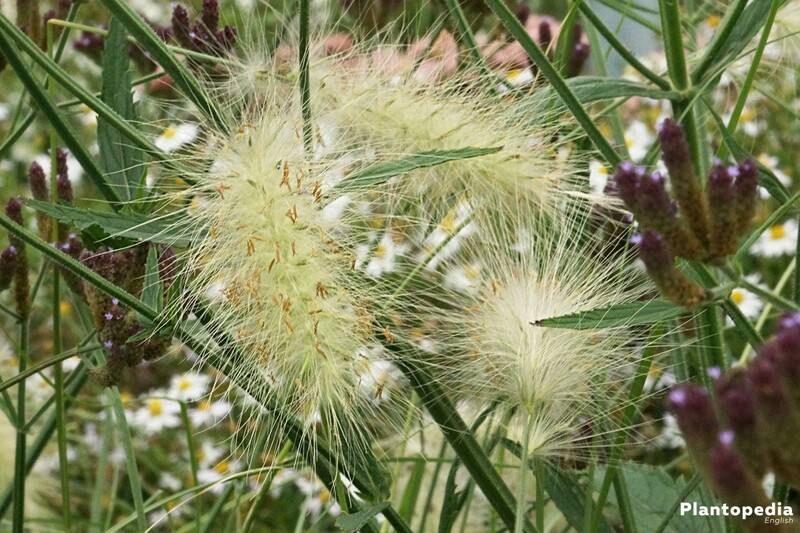 These easy-care plants belong to the family of sweet grasses and grow in dense tussocks. Thus, they make great fill-ins in beds. When other flowers already wither, Chinese pennisetum shows its whole beauty. Our instructions describe caretaking of the plant. Many nature lovers know this plant as Chinese fountain grass. 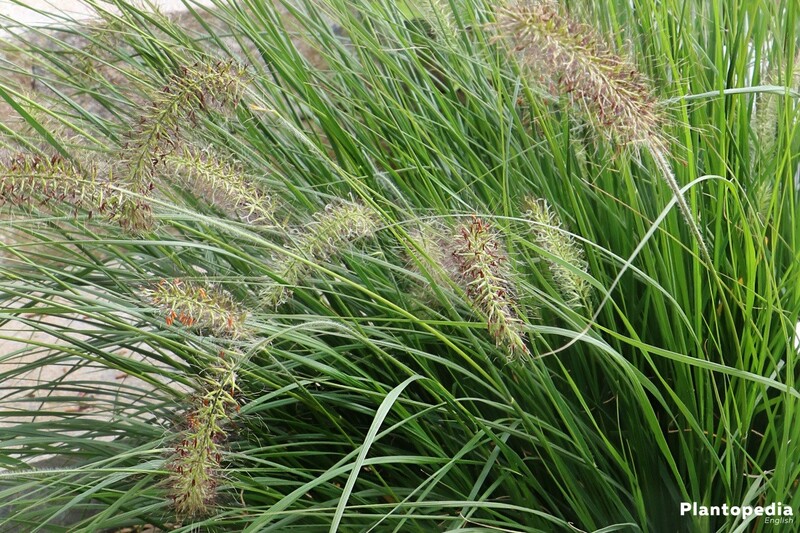 The botanic name Pennisetum alopecuroides can be found in professional shops. The persistent, herbaceous plant decorates every part of the garden with its height of up to 120 centimeters. According to its original habitat, the Chinese pennisetum prefers a dry place. The different kinds of these grasses differ, which we will cover in this caretaking instruction. The botanic name Pennisetum describes the appearance in open nature very well. “Penna” means “feather” and “Seta” describes the “stubbles”. This refers to the pretty florescence, which is fit for drying and can be used for bouquets. Due to its height and the narrow leaves, the blades elegantly swing in the wind. Even in uncomfortable fall and in cold winter, Chinese pennisetum decorates the garden within a white cover of snow. Several wild kinds of Chinese pennisetum (pennisetum alopecuroides) are known. In the last decades, a new species has successfully been developed. There are winter-durable non-winter-durable species. There are only a few rules to consider with this grass-shrub. Here are the most important tips of how to take care of the Chinese pennisetum. Especially in Australia, the Chinese pennisetum (pennisetum alopecuroides) grows in warm places with dry soil. It can easily be a little sandy or have loose structure. It is however absolutely important that the plant is not waterlogged. The plant should not be planted in gardens with a slope. They prefer even soils without being shadowed by trees of high bushes. If you are looking for a plant for a very sunny place, the Chinese pennisetum is a good choice. 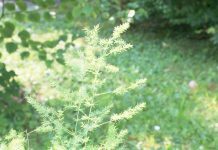 Concerning soil, this grass-shrub is very undemanding. Heavy or clay-containing soils should be adjusted with sand before planting. Also, small pebbles make for rainwater to drain quickly. In any case, you should away heavy soil that cause waterlogging. The plants are sensitive to it and react with apparent drought. However, this shows that the plant gets too much water. Pebbles, lose soil and sand are very well fit to create the perfect soil conditions for Chinese pennisetum. The substrate has to be permeable. A mixture of common garden soil, sand, a little compos, pebbles or coconut fiber can be used. If the Chinese pennisetum is inside a bucket, you can also use common flower soil. Before you plant Chinese pennisetum (pennisetum alopecuroides), prepare the ground according to the local conditions. If the grass-shrub is supposed to be planted between other flowers, one has to make sure that the plants have the same demands in terms of soil and place. Thus, you should never put Chinese pennisetum next to plants that need soil rich in nutrients. Two to five plants are calculated to cover one square meter. Consider that the initially small plants can reach great heights over the years. Of course, you can also only plant one Chinese pennisetum, which can then spread over time. This makes for a nice highlight. The ideal period for planting is between February and October, sometimes in November. In any case, there should not be soil frost already. If you plant the shrub in spring, you can enjoy the beautiful flower in summer. The plant can receive a little compost, but only when planting it since it gives the plant a little burst of growth. However, the compost should not be too fresh. The bucket is also suitable for pennisetum alopecuroides, Chinese pennisetum. 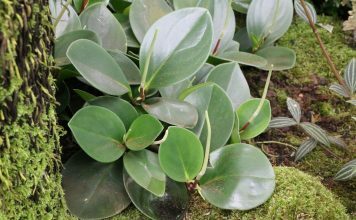 The elegant plant selectively decorates the terrace or the entrance of the house. Potting or Repotting should be performed in spring until early fall, but spring – before the plant blossoms – is more favorable. You can use common flower or garden earth and make sure that rain or irrigating water can drain. Foamed clay can be added as the very bottom layer inside of the bucket. It absorbs excessive water and gives it back to the roots in periods of drought. Water thoroughly with rain or stale tap water after planting. Normally, one does not need to water pennisetum alopecuroides, Chinese pennisetum frequently. This should be avoided: Both ongoing drought and waterlogging. The plant does not mind one or two days of complete drought. But then it should soon be watered. Ideally, one uses rain or stale water. Water moderately! Also, the water should not be too cold. In buckets, the finger test is the best way to check if the plant needs water. If the Chinese pennisetum is planted in a pot made of plastic, the water evaporates more quickly than if it is in one made of terracotta. Therefore, plants in plastic pots need more frequent watering than those in beds. Tip: Avoid complete drought of the plants, do not use cold tap water and if brown tips develop, the plant is too dry. 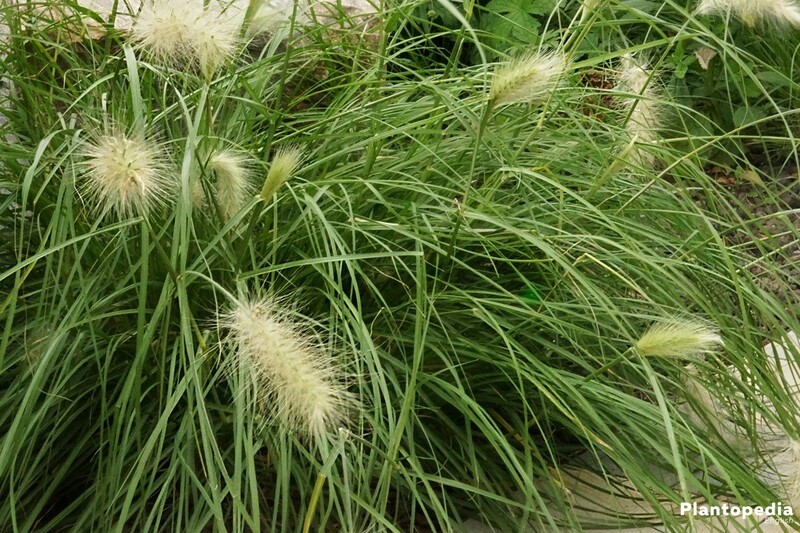 Generally, Chinese pennisetum (pennisetum alopecuroides) does not need fertilizer. 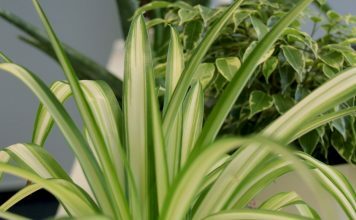 After a couple of years in the same place, it can however become necessary to give the plant a little boost of nutrients. The soil, which is poor in nutrients anyway, is drained. Thus, it makes sense to fertilize the plant a little. The emphasis is on “a little”! Fertilization should be performed before and during blossoming, that is when then plants especially need nutrients. Liquid fertilizer is very heavily diluted and the plant should be watered every two weeks. Similarly diluted – in comparison to other plants – shrub fertilizer can be used. Calculate roughly 50 % less than you would use conventionally. In the end, the conditions of the soil decide about this. A small handful of horn shavings can be worked into the soil. Also, compost earth can be used, which should never be too fresh. Fresh humus can “burn” the roots of the plants. In a nutshell: Chinese pennisetum (pennisetum alopecuroides) does not need pruning. 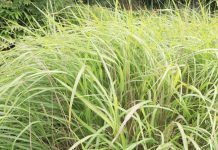 For the sake of the beauty of this grass shrub, dried out stalks can be removed. In no case, the grass should be cut down in fall. 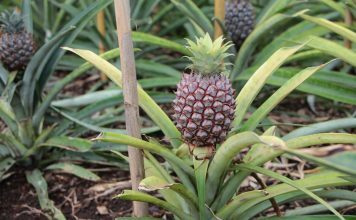 This is due to the fact that the plant needs long stalks to avoid rot from too much moisture. 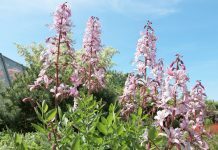 Not before spring, after the last ground frost in March or April, the plant can be cut to a height of roughly 10 to 20 cm. If Chinese pennisetum should grow too narrowly in spring, parting of the roots can be rewarding to stimulate growth. The preparations for overwintering of Chinese pennisetum (pennisetum alopecuroides) begin before the first ground frost. In no case, the high grass should be cut in fall. Rot or frost damages can result from the additional moisture from rain or snow. As long as the plant does not stand in a wind-protected place, it needs protective isolation in winter. This can be achieved by adding mulch or some layers of brushwood and foliage. Textiles like fleece can also be wrapped around the shrub. Roughly half of the high grasses should be covered. This way, they do not fall apart from each other during snowfall. If Chinese pennisetum (pennisetum alopecuroides) is planted in a bucket, it is sufficient to put the bucket into a greenhouse or a dry room in the basement. The pretty grass is not watered or fertilized during the cold resting period. Chinese pennisetum is propagated by the method of division. Propagation could not be easier. After the plants have reached considerable height after some years, they are carefully lifted out of the ground and divided. The root bale is cut with a knife. Several small plants can develop from a large one and be put into new places. Also, this way of propagation is especially a good idea for stimulation of root growth. 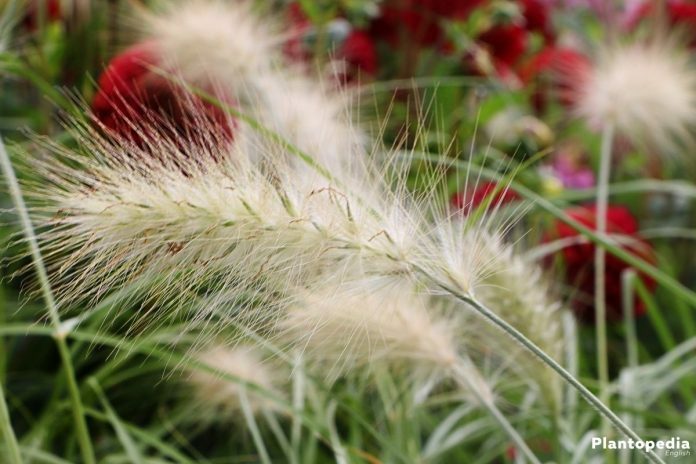 Thanks to its delicate beauty, pennisetum alopecuroides, Chinese pennisetum is a perfect fit for winter months. While other plants have already lost all of their leaves, the stalks in the flowerbeds still wave in the wind. They are ornamental, especially when the garden soil is covered in a white blanket of snow. During this time, the grass loses its green coloration, but it defies the cold with its yellowish stalks and the pretty false-spikes. 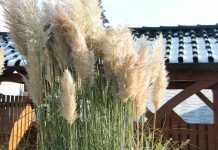 This is why Chinese pennisetum, pennisetum alopecuroides is an appreciated garden plant. For the sake of protection, the stalks can be bound together a little. If Chinese pennisetum is unprotected from severe winds, it should be covered with a layer of mulch, brushwood or hay. Also, fleeces can be very helpful. 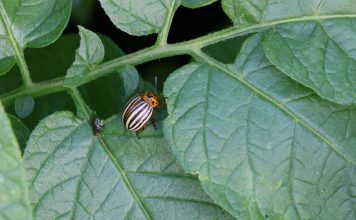 It is wrapped around the shrub in a width of roughly 20 to 20 cm and fixed with a garden cord. 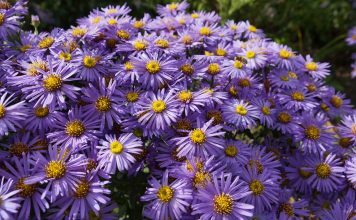 The species that are not winter-durable are rather fit for the bucket and are put into the greenhouse or a dry room in the basement. Generally, Chinese pennisetum (pennisetum alopecuroides) is not very vulnerable when it comes to diseases. In perfect conditions, they grow very well and ecstasize the visitor with its beauty. The only risk is rot, which can also present as so-called “rust”. Long-term treatment is an exchange of the soil since rot can only develop in ongoing wet conditions. During exchanging the soil, you should make sure that all affected parts are removed and are replaced with loose soil. Tip: Chinese pennisetum should not be cut in fall to avoid rot. Spider mites can be unpleasant. Common products can be used in an emergency. Alternatively, it can be sufficient to spray water onto the plants. The little crawlers then often vanish already. Otherwise, Chinese pennisetum is very robust in terms of pests.